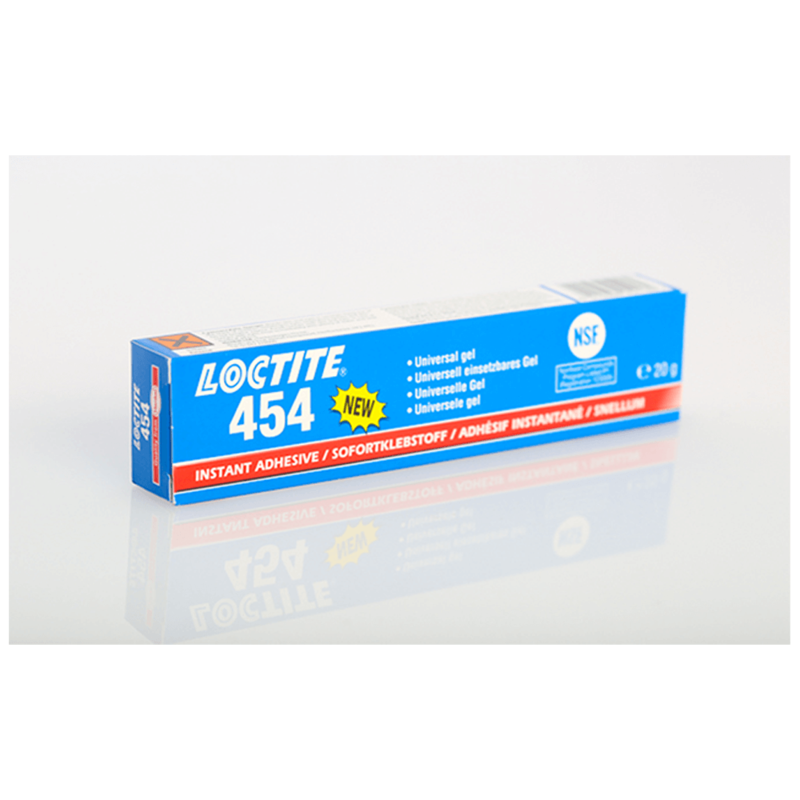 Loctite 454 is an instant adhesive designed for the assembly of difficult-to-bond materials which require uniform stress distribution and high tensile and/or shear strength. Loctite 454 is designed for the assembly of difficult to bond materials which require uniform stress distribution and strong tension and/or shear strength. The product provides rapid bonding of a wide range of materials, including metals, plastics and elastomers. The gel consistency prevents adhesive flow even on vertical surfaces.